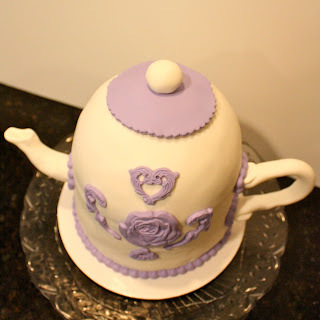 This teapot cake was for my grandmother's 80th birthday. She requested that the number 80 not show up on her cake, so instead I went with two things she loves: tea and purple. The cake was yellow cake with buttercream filling. 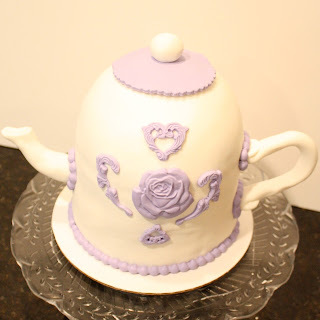 Her reaction to the cake was priceless, and days later she was still talking about how she thought it was a real teapot. Happy Birthday to one of the most upbeat, kind and amazing people I know, my Grandma!